The very first principal I had was a huge fan of building anticipatory set, or a short activity that "hooks" your students and focuses their attention for the instruction that will follow. I don't remember a single detail about my first observation lesson (I don't even remember what subject was observed! ), but I do remember the followup meeting in her office. Apparently my anticipatory set was lacking (or perhaps even nonexistent! ), because we spent a lot of time discussing the importance of building anticipatory set at the start of a lesson. 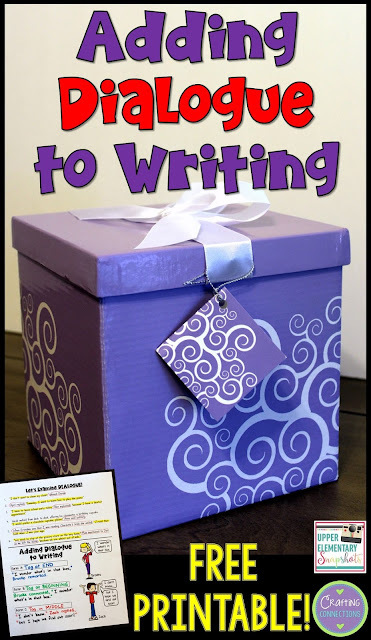 She provided many examples for me, and then sent me on my way, urging me to focus on this critical part of each lesson when I was writing my lesson plans. 1. Ask an open-ended question related to the topic. Ask students to think of a scenario that shows why it's important to understand fractions. Ask students to think of advantages and disadvantages of living in various regions in the United States. 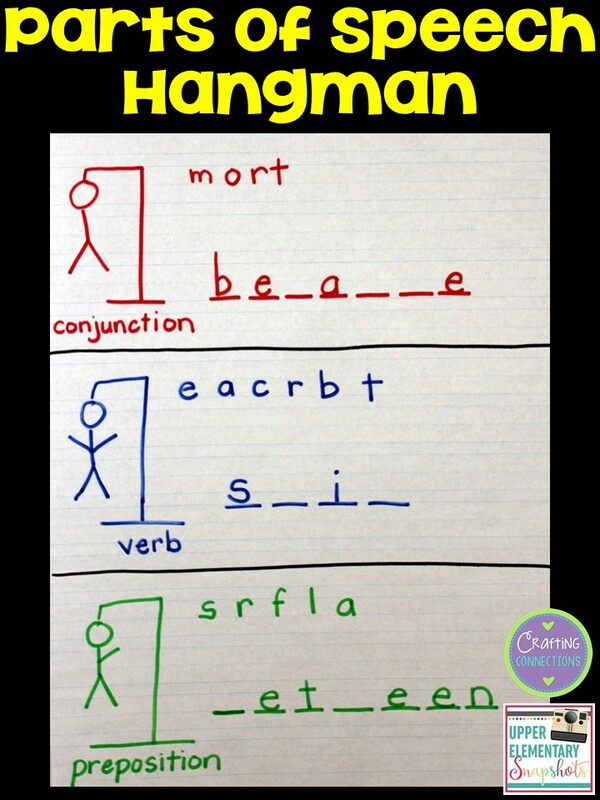 Choose a meaningful word or two from the lesson, and play Hangman with your students! After they determine the words, tell them that at the end of the lesson, you will be asking them what the two words mean, so they should be sure to watch and listen for these words. 3. Play Charades or Pictionary. Let's say today's social studies lesson is about the transcontinental railroad. Write "train" on a slip of paper, and give it to a volunteer. That student comes to the front of the room and tries to act like a train without speaking. Consider a topic like the water cycle that you know that your students learned about in a previous grade level. Tell your students that you are going to draw something on the board without talking, and it's their job to guess what you're drawing. Proceed to draw a water cycle diagram on the board. This is an excellent way to check your students' prior knowledge. NOTE: If you want to keep the noise level down, designate a student to be the "caller". When students have an idea they want to share, they raise their hand. The "caller" calls on students to share their idea. Thanks to YouTube and educational websites like BrainPop, there are no shortage of brief videos that can be used to build anticipatory set! I love to create anticipation guides. 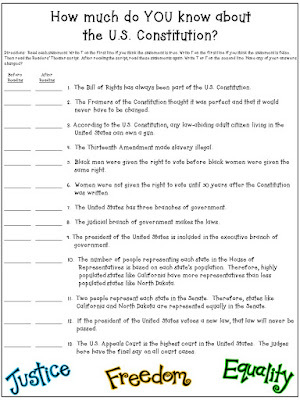 Below you will see the anticipation guide I created for my Constitution Day Readers' Theater script. Before handing out the scripts, students read each statement and predict whether it's true or false in the first column. After reading through the script as a class, students return to the anticipation guide and complete the activity again, writing true or false in the second column. Students usually enjoy discovering which of their predictions were correct, and which were incorrect. Tell students that they will silently watch you for 1 minute. Proceed to walk around the room with a pad of sticky notes. Write an adjective on the sticky note that describes an object in your classroom. For example, write the word "smooth" on a sticky note, show the word to your students, and then stick the sticky note to the table. Look down at your clothing, and choose an adjective to write on a sticky note, such as red. Show the word to your students, and then stick it to your article of clothing. Repeat with other words, labeling nouns in the room with adjectives. After the minute is over, ask students how all of the labels are alike. Walk into class wearing a pair of the glasses from the Googly Eyes game to introduce a lesson on concave and convex lenses. Take the lenses out of the glasses and let students pass them around, along with the extra lenses in the box, and let students look through the various lenses. Students can even make some predictions about the science behind these lenses! 7. Read a picture book or play a song. Play the song Ironic by Alanis Morrisette before introducing the term "irony". Use a document camera to display the lyrics so students can follow along. When the song is over, ask students to discuss with a partner what irony might mean. 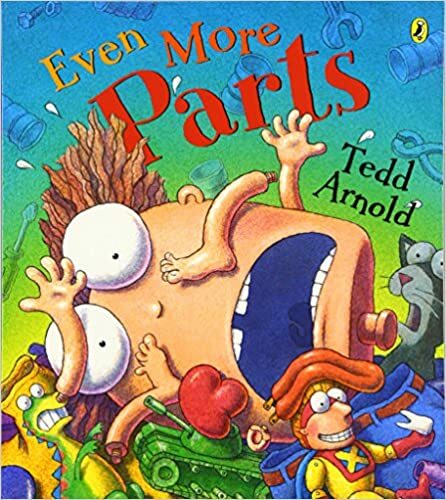 To introduce idioms, read Even More Parts by Tedd Arnold. The character in this book makes a list of all of the crazy things he hears (idioms) like "I keep changing my mind" and "I lost my head". The illustrations in this book are so FUN! Bring an object to class that is somehow related to the lesson, and ask your students to predict how it might represent today's lesson. Sometimes I use a direct representation. For example, if your lesson is about the Pony Express, you might show your students an addressed envelope and a plastic toy horse, and ask how these two items might be related to today's social studies lesson. 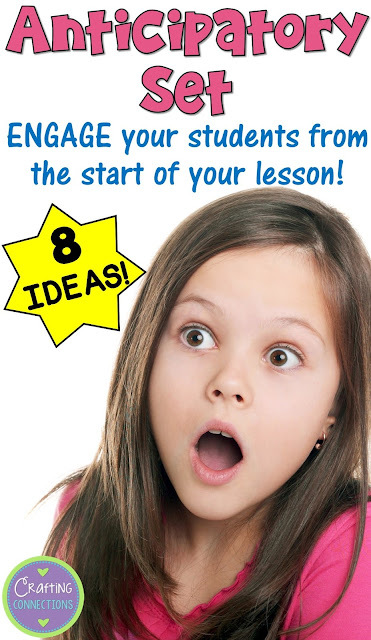 To get the most out of your anticipatory set activity, be sure to revisit the activity at the end of the lesson! Incorporating an anticipatory set activity and referring back to it during the lesson will certainly result in improved student retention!